The incident occurred in 2007, when a young woman went to pick up her younger sister from a private residence where several teens had been drinking until a parent arrived and broke up the gathering. She offered one of the intoxicated teens a ride home, but soon ended up with a car full of kids. However, the 23-year-old, herself a young mother, was drunk too. She crashed her vehicle into a utility pole. The crash killed two 14-year-old’s, a 15-year-old, a 16-year-old and a 17-year-old. Three others were seriously injured. All attended the same high school. Although the driver was later convicted of numerous counts of aggravated drunk driving and reckless homicide and sentenced to 15 years in prison, it was of little consolation to the families who had been handed a life sentence without their beloved children. Now, those who remain say almost everyone knows someone affected by the fatal car accident in some way. Many adults were shaken by the fact that several of the parents of the teens killed believed their children were at home sleeping. In the aftermath of the crash, state authorities initiated a program enforced by the state to trace the sale of liquor and to deter underage drinking. In the county where this happened, authorities proposed a measure that would result in an automatic three-month license suspension for anyone underage caught drinking any amount of alcohol. The school district developed an informational pamphlet on underage drinking to help inform parents, and the school board passed more stringent penalties for student athletes caught drinking during off-seasons, including in the summer. Five years after the crash, the mangled car in which the teens lost their lives was put on display at the school, a grisly reminder of what can happen. Soon after, school administrators brought in a crash simulation to be experienced by high school students just before prom. Still, tragic car accidents like this still happen across the country. In New Hampshire just recently, four teenagers were seriously injured when the 18-year-old driver lost control of the vehicle in which they were traveling. The car left the roadway and overturned, coming to rest in a field before bursting in to flames. The teens were able to escape, but remain in serious condition. In Massachusetts, there could be a number of courses of legal action a family could take, though none obviously will ease the pain of losing a child. The first, of course, is to take action against the impaired driver. If the driver was operating a vehicle owned by someone else, the vehicle owner might also be liable. In both cases, insurance policies available are unlikely to cover the full extent of damages incurred, so families may explore social host liability. That would apply in a case like this if it had been one of the teenagers behind the wheel. Under Massachusetts Social Host Law, an adult who allows underage guests to consume alcohol in their home. 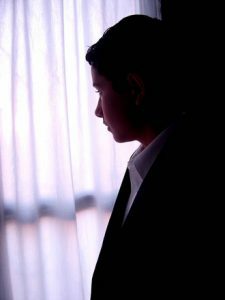 If a fellow teen allows other underage guests to possess or drink alcohol at their parent’s home or property, the teen might be charged criminally, and the child and parent could still be sued for civil damages. However, many homeowner’s insurance policies do not cover damages where criminal conduct is involved, and serving alcohol to an underage person is a crime. Another legal avenue would be to claim uninsured/ underinsured motorist damages, which would be a parent’s policy that covers the teen victim, even though he or she was in someone else’s vehicle at the time of a crash.